Justify has completed the Triple Crown, leading all the way in the Belmont Stakes. Justify has won the Belmont Stakes in New York to become the 13th horse to claim United States thoroughbred racing's Triple Crown. Sent out favourite, the colt was barely pushed as he led all the way to complete the 1-1/2 mile (2400m) course in overcast but dry conditions at Belmont Park in Elmont, New York. 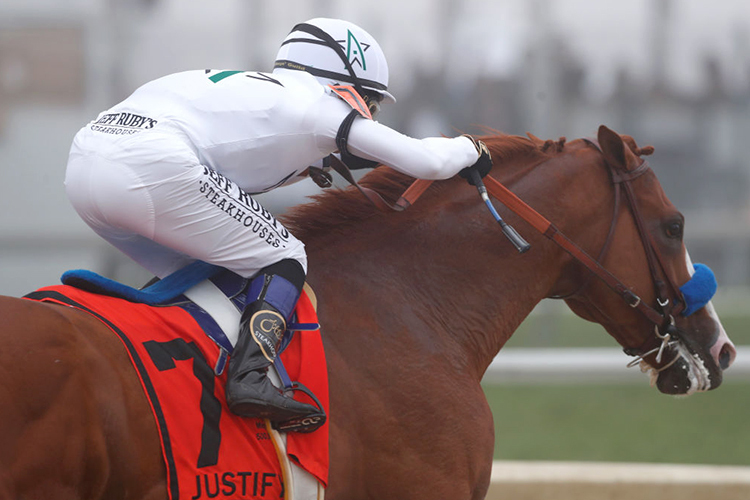 Owned by China Horse Club, Head of Plains Partners, Starlight Racing & WinStar Farm, Justify was ridden to victory by 52-year-old Mike Smith who became the oldest jockey to win the Triple Crown.